Arrow Tower (also called Jian Lou) in Beijing China is the ancient building situated immediately south of Tiananmen Square. 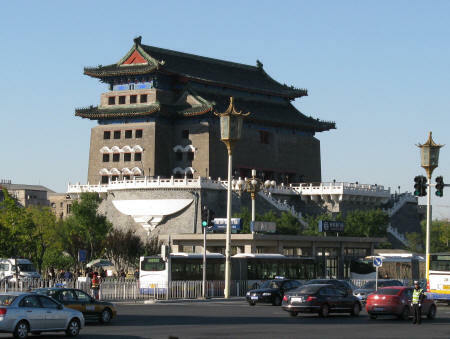 The tower was built during the Ming Dynasty and is today a popular Beijing tourist attraction. Directly across the road from the Jian Lou Tower is Zhengyang Men Gate (south end of Tiananmen Square). The Tiananmen East metro station is located at the foot of the tower.